If you’re a homesteader, or about to become one, chances are you’re itching to buy a small flock of chickens really bad. In fact, it really doesn’t seem like you are even a homesteader at all until you have your own flock, right? But before you take the plunge, you should do some research first. This article lays out everything you need to know before you buy your first chicken. So read on! Most homesteads you read about or check out on YouTube have chickens, and for good reason. Chickens are a very useful, economical form of livestock. They can serve many different purposes on a small farm or backyard. Let’s look at a few of the ways homesteaders put their flocks to work. First and foremost, chickens can be a terrific source of food. Egg laying breeds may produce an egg a day during the first two years of their life. Five or six good hens will produce more than enough eggs for a family of four. Chicken meat itself is an American staple. And if you own a rooster and some hens, you can produce all of the chicken that your family eats. Even small chicken flocks produce a whole lot of manure! Chicken droppings are considered a “hot” manure, which means that it is extremely useful when composting. Mix that chicken manure with grass cuttings, dead leaves, and kitchen scraps, and you’ll eventually have that black gold compost that every gardener craves. Chickens spend their live scratching and pecking the soil; it’s what they do. So the birds are a terrific asset for gardeners and small farmers. Set them loose in your garden in the late fall after everything is harvested; they’ll help turn the soil for you and get the area ready for next year. You can also pen them in a fallow field, let them eat all the plants and root through the soil to ready it for planting as well. Some people even keep them in mobile coops, called “chicken tractors,” to use them to turn the soil in a more controlled manner. Chickens are a high demand item on Craigslist. If you have a broody hen or an incubator (more on these things later) and can successfully hatch and raise your own baby chicks, you’ll find a hot market available. Selling chickens you raise at home can generate some cash; at a minimum, any chickens sold will help offset the costs of feeding and caring for your flock. If bugs are a problem where you live, sic your chickens on ‘em! Free-range chickens will devour nearly any insect in their path. They’ll eat ticks, spiders, grasshoppers, and ants, and anything else they can get their beaks on. If you’re a homesteader, you’re not just trying to save money by working your land hard; you’re trying to have better quality of life. Watching the chickens you raised walk around, chase bugs, argue, and just be silly is priceless entertainment. It is a labor of love to check and see how many eggs your hens laid each day. Having a flock of healthy, happy chickens will give you peace of mind. So they’re awesome, and you’re ready to take the plunge and buy some, right? Well, not just yet. 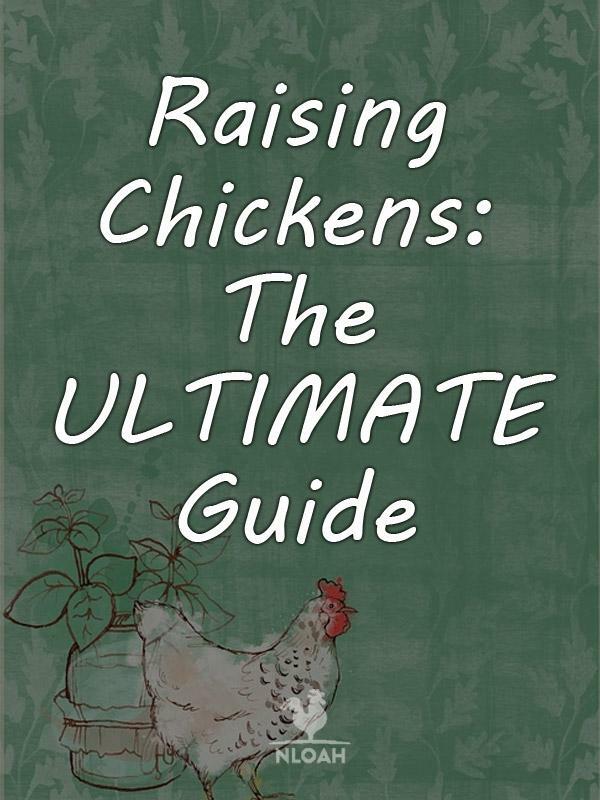 Here are some things to think about before you dive in and start raising chickens. Before you buy any chickens, check and see what the local laws are. Are you even allowed to have chickens where you live? Many cities and suburban areas do not allow homeowners to have chickens. Other municipalities limit the number of chickens you can have; some places allow chickens but ban roosters. Many homeowner associations have restrictions on the types of animals you can have in your backyard, too. So look into all of this before you purchase any birds. Even if you can keep chickens, should you? Always take your neighbors into consideration. Roosters can be loud morning noon, and night; will having one, or a bunch of hens, cause problems with your neighbors? If you live in close quarters in a suburban area, it is really important to ask these questions, especially if you want to keep the peace. Keeping chickens isn’t as labor intensive as caring for larger livestock. However, you still have to ensure your birds have food, water, shelter and a clean environment. You’ll have to spend a minimum of ten to fifteen minutes each day taking care of your chickens; every few weeks you’ll have to put in some additional time to clean out their coop. If your family and you can commit to the time, you are ready to move on and get ready to buy some chickens. Chickens are easy to take care of, but they do have a few basic requirements. Here are the critical ones you need to consider before you purchase any birds. Chickens will need some sort of structure to protect them from predators and the elements. Most people keep their chickens in an aptly named chicken coop. Coops typically have a branch or bar in them, which chickens will roost on at night. They normally have roosting boxes incorporated as well, where the chickens will become accustomed to laying their eggs. Homesteaders often line the floors of their coops with hay or wood shavings, which makes it more comfortable for the birds, insulates the coop somewhat, and makes it easier to clean out their droppings. In colder climates, many coops are wired to support light bulbs, which will keep the chickens from freezing. Other coops, like the aforementioned “chicken tractors,” are designed to be mobile; farmers will move the coop from place to place, so that the chickens can work the soil. While coops are the norm, they aren’t absolutely necessary. Some people simply let their chickens roost in larger livestock barns. Others use sheds or even garages to house their flock at night. Plastic milk crates lined with hay can be a good substitute for roosting boxes in these coop alternatives, too. Chickens will come to recognize their coop very quickly. Even free-range chickens will return to the coop at dusk to roost in safety if conditioned to do so. This makes it easier to keep your flock safe at night, when they are most vulnerable to predators. When it comes to poultry, fencing serves two purposes: it keeps predators away from your chickens, and keeps your birds from wandering too far. Many homesteaders have what is called a “chicken run;” this is basically a fenced in perimeter around the coop, where the chickens can be outside. If you are going to allow your birds to “free range” in your yard, you will also need to have some sort of fence that keeps them from wandering off, or keeps predators away from them. Standard five-foot livestock fencing with metal or wood posts will suffice for the chicken run; you will need a good gate incorporated into the fence perimeter as well. If predators are particularly bad in your area, you may want to consider supplementing your security perimeter with electric fencing as well. Most people use some sort of plastic or metal containers designed for chickens to feed and water their chickens. Many homesteaders use buckets or PVC piping to build their own as well. If you live in areas with colder weather, you will need to purchase a heated waterer, to ensure your birds’ water supply doesn’t freeze solid. There are three methods used when feeding chickens. First there is free choice feeding, which involves loading up your chicken feeders with food every few days, and allowing chickens to feed eat whenever they want to. Next, there is restricted feeding, which is feeding limited amounts of food at certain times of the day. Finally, there is free range grazing, which involves letting your chickens roam the yard or pasture to forage for seeds, plants, and insects. Homesteaders normally choose one of the first two types of feeding, and then supplement it by allowing their chickens to roam the pastures. While free range grazing is the most economical form of feeding, it is difficult to ensure your birds are getting the required protein, vitamins and minerals they require if you don’t feed them on a controlled diet. There are many types of commercial and homemade foods commonly fed to chickens. There are other foods that homesteaders should avoid feeding to their flock. Let’s review a few of the most common in each category. Chick and Pullet Starter. Chick starter and pullet starter are ideal for newly hatched chicks and young chickens, respectively. Broiler Starter and Finisher. Broiler starter and broiler finisher are used to rapidly raise broiler (meat) chickens up to harvesting weight. Layer Pellets. Layer pellets have the ideal protein/mineral mix to keep your laying flock healthy and producing eggs on a regular basis. Cracked Corn. Cracked Corn, sometimes called scratch, is a good food to condition chickens to root around and “scratch” the soil in search of their meals. Finally, you can also keep a bucket with a lid in your kitchen, and collect all of your table scraps. Chickens love leftovers! Uncooked Potato Peels. Uncooked potato peels are difficult for chickens to digest, and can cause them discomfort or internal problems. Avocado Skin or Pit. Like potato peels, these can cause digestive problems for your birds. Fish, Onions, And Other Strong Tasting Foods. Foods like onions or fish can your chickens’ eggs an unpleasant flavor. Eggs and Egg Products. Never feed your chickens eggs. Some chickens subsequently develop a taste for eggs, and will then devour the eggs your flock lays. These are some general guidelines for what to feed and what to avoid feeding your chickens. There is more in-depth information on this subject here. If you opt to purchase baby chicks, or hatch some from an existing flock, you will also need special supplies for them as well. Baby chicks raised away from a mother hen will need some sort of brooder, a box or pen where they can be safely contained at consistently high temperatures. They will need some sort of heat source, like a lamp, that can keep the brooder at the required temperature. The chicks will need their own special feeders and waterers, and a medium such as wood shavings as a brooder substrate. Baby chicks will need to raised indoors, in an area free from drafts, temperature swings, and predators. Many people will set up the brooder in a spare room, a basement, or an insulated garage. Chicks will have to spend eight weeks in the brooder before they can be transitioned to their run outdoors. There are two primary types of chickens that homesteaders should consider purchasing: broilers, or meat chickens; or egg layers/dual purpose birds. Broilers are chickens that have been bred specifically to grow mass quickly and be ready to harvest (slaughter) after 12-16 weeks. They typically do not lay eggs, and can actually develop health problems if allowed to mature past a few months of age. Egg layer/dual purpose birds are used on the homestead to produce eggs, as well as an occasional chicken for the oven or stews. Most of the so-called heritage breeds fall into the egg laying/dual purpose category. Many of these birds are prolific egg layers, cold hardy, and great tasting. They just don’t grow as fast or get as heavy as the meat birds do. There are also chickens varieties bred for display, or to be kept as pets. Bantam chickens are small chickens that come in a variety of shapes and colors, and which often have quirky personalities. Other fancy chickens, such as Silkies, are renowned for their fancy plumage. While these birds are fun to have and to show at fairs, they generally aren’t prolific egg layers. Many homesteaders keep more than one flock. They may have a group of dual-purpose birds that provide eggs, produce replacement pullets and serve as an occasional chicken dinner. They will also raise a second flock of broilers early in the season, and slaughter them all at once when they are the proper weight. Those broilers can then be stored in a freezer for later consumption. Silver Laced Wyandottes. Another handsome bird with silvery, black-lined plumage. Wyandottes are great layers, and extremely cold hardy birds. Ameraucanas (Easter Eggers). These birds are renowned for being prolific layers of lightly tinted blue eggs, which are always a hit at farmer’s markets. They are hardy,docile birds, and terrific additions to any flock. A relatively plain but hardy chicken that is a prolific layer of white eggs. Leghorns are the breed that most commercial egg layers raise, and they remain extremely popular on homesteads and back yards as well. There are many different types of broiler chickens as well. The Cornish Cross variety is popular and easy to find right now. The Red Ranger breed is growing in popularity as well; it has a really fast growth rate, and is ready to harvest much faster than many other varieties. When choosing egg laying chickens or broilers, determine what breed suits your homestead situation best, and purchase accordingly. A rooster is simply a male chicken. A young rooster is called a cockerel. When planning out your flock, all homesteaders should determine early on whether they want, need, or are even allowed to keep a rooster. Roosters are noisy and often boisterous; some can even be aggressive. You do not need a rooster AT ALL for an egg laying flock. Your chickens will lay eggs regardless of a rooster being present or not. The only reason to keep a rooster on your homestead (besides the entertainment value) is if you plan to hatch and grow out your own baby chicks. You need a rooster to fertilize any eggs you want to hatch out. As noted earlier, some zoning ordinances prohibit homeowners from keeping roosters, even if hens are allowed. So check your local regulations! You’ve done your research, set up your coop, and fenced in your back yard. Now it is time to go out and get your chickens. How do you go about it? There are two primary ways people obtain their chickens: first, they can buy day-old baby chicks online, raise them in a brooder, and then set them outside. Alternatively, they can simply purchase their chickens locally from other farmers. Let’s look at both methods. Many people just starting out buy day-old baby chicks from catalogs or online, and have them shipped to their homes via express mail. Many of the hatcheries offering this service are decades old, extremely reputable, and have tremendous customer service. Buying your chicks like this can guarantee you establish a flock of quality birds. However, most catalog poultry stores require you to buy a specified amount of chickens; that number may be substantially more than what you want to purchase. Shipping costs can be high as well. You won’t see any eggs from these chickens for at least six months, either. Finally, baby chicks will need extensive care and support for the first two months or so of their lives, unlike adult chickens. Chicks will have to be kept in a temperature-controlled brooder for eight weeks, and gradually introduced to outdoor temperatures, before you can keep them in a chicken run. It is usually quite easy to find chickens for sale near your homestead. Craigslist or your newspaper’s classifieds are a great resource to find chickens in your area. People often sell them at small hardware stores, farmer’s markets and county fairs as well. Finally, if you live in the country, you’ll often find farms with signs announcing they have chickens for sale driving the roads in your county. Buying pullets, or young chickens, locally offers several advantages. First, you can place adult chickens outside immediately upon receipt, and they’ll likely start laying eggs as soon as you purchase them. Successful local farmers will likely have chicken breeds that are adapted to your area as well. Finally, when you take shipping costs into account, locally purchased hens will likely be cheaper than day-old chicks. However, there are some disadvantages to buying your chickens locally. It is difficult to determine exactly how old your chickens are; you may end up buying hens that are past their prime when it comes to egg laying. The chickens you buy may be mixed breeds, and not have all the traits your looking for. Finally, buying adult chickens from someone else may inadvertently expose your farm to illnesses that could affect other poultry. Once you’ve grown out your baby chicks, or purchased some hens, it is time to get their (and your) homestead rhythms established. Here are some things you should consider doing. When you start a new flock, it is a good idea to get them used to their new environment. Keep new chickens locked in their chicken runs for about two weeks. Close them in their coop in the evening, and release them in the morning. Keep their feed and water in a specific place n the run. Establishing routines will help your chickens acclimate faster to their new environment; it will also make them easier to manage in the long run. After two weeks or so, if you’re going to let your chickens free range in your yard, go for it. I let my chickens wander throughout our fenced-in 3-acre yard all day whenever I am home. At the end of the day, or if I am going to leave, I put them back in their chicken run. Throwing a handful of chicken feed in the run is normally enough to get them all back in. there. Compared to other livestock, chickens are easy to care for. However, there are still chores that you’ll have to accomplish daily and monthly. Every morning and evening, you will have to let your chickens in and out of their coop. You’ll have to ensure they have sufficient fresh water, and enough food. You’ll also have to gather up their eggs daily as well. You’ll also have to deal with the bedding in their coop on a regular basis. There are two ways to do this. First, you can simply remove and replace the old hay with fresh hay once it becomes fully saturated with chicken droppings. If you decide to use this method, you’ll replace the hay every three to five weeks. The dirty hay is a great addition to compost piles. Alternatively, you can use the deep litter method. With this method, you’ll simply sprinkle some lime on the existing hay once it becomes soiled, and then add a new layer of fresh hay on top of it. The older hay will break down and compost beneath the fresh hay. Using this method, you’ll only have to replace the hay in your coop every few months. Tidy up your chicken run every month or so as well. Rake it out, and remove any uneaten or rotten food items that chickens have left; this will help keep the flies and vermin away. Chicken droppings and associated waste make great additions to compost piles, so don’t let any of it go to waste. It is also a good idea to inspect all of your fencing monthly every month; the predators certainly do! If you find your chickens escaping their run, or even the yard, they may need to have their wings clipped. Many chickens, especially smaller breeds, can fly surprisingly well; they often become accustomed to hopping over fences with ease. If this happens, you can painlessly clip the feathers on one of their wings to keep them safely grounded. Doing this every few months can prevent your chickens from getting into trouble. From time to time, you’ll want to cull your flock. If you are raising birds for meat, they will generally be ready for harvest about twelve to sixteen weeks after hatching. Additionally, most egg layers become much less productive after two years of age; at that point, they’re great candidates for chicken stew or soup. If you routinely harvest chickens, it is a good idea to have some basic processing items on hand to assist with what can be a time-consuming process. Sharp knives, a restraining cone to assist with killing and bleeding the chicken out, a large pot to heat water for feather scalding, and large freezer bags to store the carcass are all essential when culling birds. Depending on the size of your flock and how often you process chickens, you may also want to consider investing in a plucker, which will help speed up the feather removal process considerably. Of course, if butchering chickens is not in the cards for you, you can attempt to re-home birds that are no longer productive, or simply keep your ”retired” birds as pets. No matter where you live, predators are always a challenge for chicken keepers. There are no shortage of mammals, birds, or reptiles that prey on chickens. Even domestic dogs and cats can threaten your flock if you’re not careful. Keep your chickens in their run if no one from your family is going to be home for long periods of time. Lock them in their secure coop at night. If hawks, eagles, or other birds are threatening your flock, consider installing netting or fencing on the top of your run to keep them out. If skunks or weasels dig underneath your run’s fencing, put some sort of wire mesh barrier on the ground to thwart them as well. Electric fencing is a highly effective deterrent for predators such as coyotes, foxes, and raccoons. A motion sensor light is also effective at scaring varmints away as well. Keeping a pair of geese with your birds can help provide you early warning if any predators threaten your flock; large, boisterous geese may also help to deter some of the smaller types of predators. Besides predators, illness is another common cause of losses to your flock. 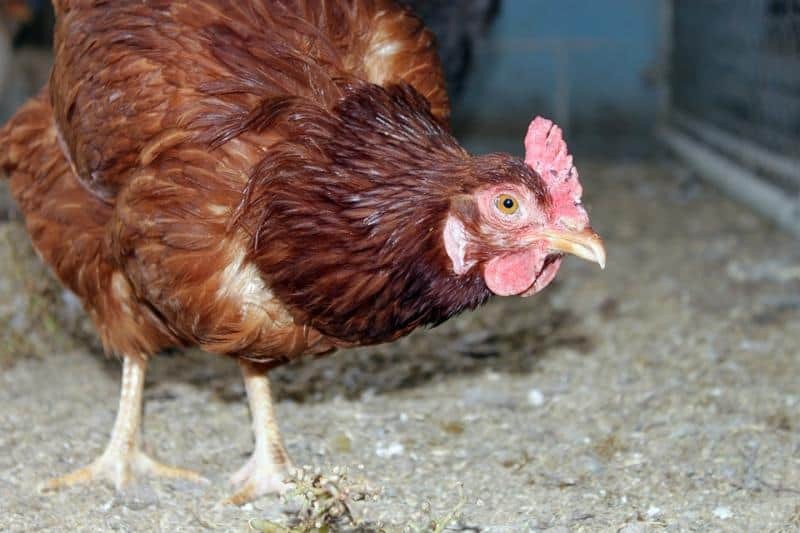 Here are five very common chicken ailments, and how you can treat or prevent them. Rickets is not a communicable disease, but instead an illness caused by nutritional deficiency. It is normally found in young chickens. Chickens that fail to receive sufficient calcium, phosphorous, and Vitamin D in their diets can develop this ailment. Rickets symptoms include: poor walking gait, bent or deformed legs, and gradual immobility. You can prevent rickets by feeding your chickens a balanced commercial feed diet, and ensuring your birds get adequate sunlight. Treatment of this ailment is the same, although chickens with severe skeletal problems will need to be culled. Coccidiosis is a poultry diseased caused by an internal parasite. It is easily spread through tiny eggs contained in infected chicken feces, which other birds ingest while scratching around in their run. Symptoms include severe diarrhea, which can lead to death. The disease can be prevented by routinely cleaning coops and pens, and by disinfecting water containers from time to time. Treat coccidiosis with amprolium or sulfa drugs, which are administered via drinking water. It is not uncommon to raise a group of pullets, only to find some of your chickens bloody, scratched and injured, or eggs broken open and devoured. Sometimes a chicken will display violent behavior, injuring others in the flock, and leaving all the birds susceptible to disease. In small flocks, try to keep chickens that are all approximately the same size. Remove any chickens that demonstrate excessively violent or aggressive behavior. Cull any chickens that are exceptionally weak and unable to defend themselves as well. Also, cull any chickens that you routinely observe eating eggs, too. Roundworm is an intestinal parasite commonly found in chickens. Symptoms include diarrhea, weakness and ultimately death if left untreated. Prevent roundworm by keeping your chicken run clean. Rotating the location of the pen from time to time can help prevent the disease as well. Infected flocks can be treated with the medication piperazine, which is available over the shelf at most farm stores. Lice are another parasite that attach themselves to and feed on chickens’ skin. Infected chickens will frequently scratch themselves, shed feathers, and lose weight due to discomfort. If left untreated, lice will spread across your flock, and leave your chickens more susceptible to other illnesses. While lice are difficult to prevent, there are many sprays available that can kill them on infected birds rapidly after they become a problem. Maximize your chickens’ vigor by feeding them a sufficient amount of nutritious foods. Avoid the improper foods mentioned earlier, that can be detrimental to your birds’ digestive systems. Make sure that your clock has constant access to clean water as well. Clean your chickens’ coops and runs routinely. Rake out and replace the soil in your run annually as well, or rotate the location of the run altogether. Disinfect your waterer and feeder devices every few months or so as well. Never immediately introduce a chicken of unknown, untested origin to your flock. Keep any new chickens in quarantine for at least two weeks, and observe them for any potential illnesses or unfavorable behavioral traits before putting them in your chicken run. Sooner or later, you’ll want to experiment with breeding your own chicks. Doing so will enable you to replace chickens that are killed or culled; it will also allow you to improve breeds of chickens that you are interested in as well. You can either let the process occur naturally, or use an incubator. Some chicken breeds, like Cochins, are extremely good brooders. They will sit on eggs to keep them warm, and take care of newly hatched chicks. If you have a hen that is a naturally good brooder, you can isolate her in a separate coop or pen. Give her eggs you believe are fertilized to set on, and simply let her do her thing. Chicken eggs typically take 21 days to hatch, so keep her supplied with ample food and water close by. A good mother hen will take very good care of newly hatched chickens, and guard the birds until they are able to care for themselves. If you want to breed chickens on a larger scale, you can also consider buying an incubator. An incubator is simply an enclosed heated box that replicates the warmth eggs would receive in a nest, beneath a mother hen. Depending on the money you spend, incubators can be fully automated, turning the eggs and maintaining temperature and humidity with minimal effort. Keep in mind that you’ll also need a brooder to raise out chicks you’ve incubated artificially. 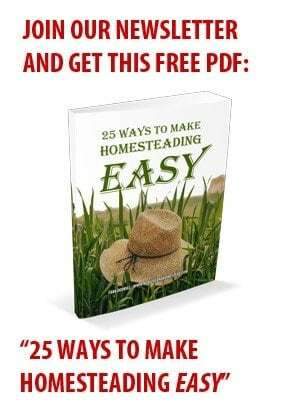 Either one of these methods can work on your homestead. A broody hen is a terrific asset; if you have one, simply enclosing her with a nest full of fertilized eggs is a simple way to expand your flock with minimal effort. However, an incubator can allow you to constantly be hatching larger numbers of eggs, even if there is a bit more labor involved. Three last notes on breeding chickens: First, it takes two to tango. You will need a rooster on hand to fertilize your eggs if you want them to hatch. Alternatively, you can buy fertilized chicken eggs locally or online, and then use your broody hen or incubator to hatch them out. Finally, it is worth investing in a special flashlight, called an egg candler, to ensure that the eggs you are working with are incubating. Even when you do everything right, you are going to lose chickens, so expect it. A fox or coyote is going to wander by your yard one day and seize the moment. A neighbor’s dog is going to escape and wander over when your birds are free ranging. A chicken is going to eat something that it shouldn’t have, and die suddenly. Don’t get discouraged when this happens. Assess why the chicken died, and take any necessary action to ensure it doesn’t happen again. A predator threat may require you to mend or improve your fences. An illness may require you to consult your local vet and get medicine to protect the rest of your flock. And remember: having a system to constantly breed and cull your birds is a safeguard that can help you maintain a healthy, productive flock at a consistent size despite unexpected events. 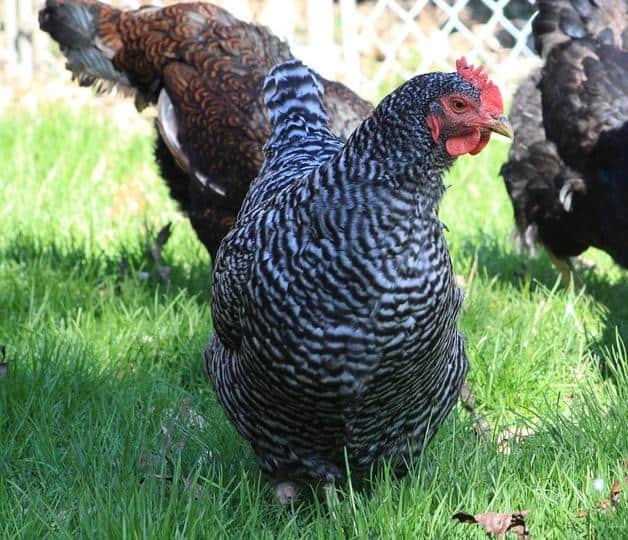 A chicken flock is a great addition to your homestead. Chickens are easy to take care of, and can provide your family with a consistent, delicious, and nutritious source of eggs and meat. Use the information in this article, and supplement it with other sources and experience, to prepare to raise chickens. Then take the plunge, and start a flock on your homestead as soon as possible! When Tom Harkins is not busy doing emergency repairs to his 200 year-old New England home, he tries to send all of his time gardening, home brewing, foraging, and taking care of his ever-growing flock of chickens, turkey and geese. Good article. I’ve raised chickens since 2010. Our city allows 4 hens, no roosters. One disease I’ve come across with chickens (at least in Florida) is Fowl Pox which is spread by Mosquitoes. My 1st four chickens got Fowl Pox. They looked like hell and egg production dropped. The Pox ran it’s course. They healed. Once they get it, they never get it again. Just like chicken pox in humans. Fowl Pox is a nasty illness, thankfully they do only get it once. To help keep our free range flock healthy, I put medicinal herbs, spices, and dried flowers into their waterer, feed, and sometimes in a free choice bowl, for them to eat. I use natural ingredients that are immune system boosters, have antibacterial, antibiotic, and anti-inflammatory properties – and also help treat and prevent respiratory illnesses, parasite, and harden egg shells. I would suggest everyone put a few pinches (can’t really over do the amount) of cinnamon, ginger, cloves, oregano, calendula flowers, basil, lavender, and turmeric in their food and water dispensers to help keep the flock healthy.